The Music Faculty deliver a variety of courses at all Key Stages, developing knowledge and skills in music. The faculty has dedicated teaching staff, inviting teaching spaces and are committed to delivering excellent learning for all students. 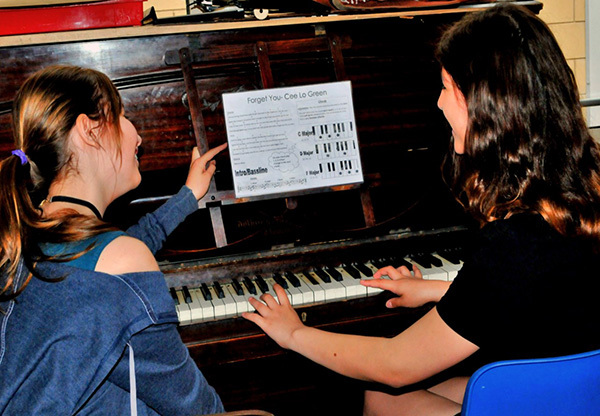 Music at Belper School is linked to the National Curriculum and is a largely practical based subject. Throughout Key Stage 3 students will learn to play a range of popular music instruments including drums, guitar and keyboards. They will also be singing regularly and will frequently have the opportunity to involve instruments learnt outside of the classroom. Year 7 is primarily a skills centred year with students working on a range of performances, both individual and as part of a group, as well as composing their own pieces on instruments and computers. In Year 8 those skills from the previous year are developed with “Music from other Countries” as a theme. During this time students will develop their understanding about Blues, Reggae, Western Classical music etc. Students are assessed each half term, primarily on practical skills and involvement, and will be guided through that assessment by details in their exercise books, which they will keep with them throughout the three years. There will also be more formal assessments at the end of each year in line with school policies. 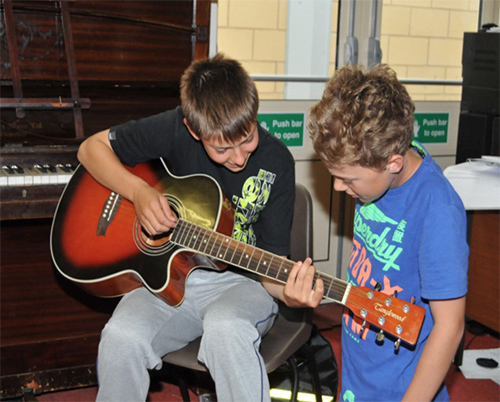 As well as teaching music one hour per week as part of the curriculum, the department also offers a wealth of enrichment opportunities. There are visiting instrumental teachers who offer individual tuition on a wide range of instruments including brass, woodwind, violin, piano, keyboard, guitar, drums, singing etc. There are also a range of ensembles from wind ensemble to choir to rock bands. All students are encouraged to take part and also to get involved with some of the regular performance opportunities throughout the year. We use a large number of ICT facilities within the school including a recording studio and a suite of music specific PCs. BTEC Music is aimed at any student who has an interest in music making and those who have an interest in music as a possible career. The qualification is a Level 1/Level 2 Award, is equivalent to one GCSE and has a large vocational content. The content of the course includes a large amount of practical and performance based activity. It also covers the working practices that are employed by professionals in many diverse areas of the music industry. Assessment is heavily coursework based (75%) with one exam (25%) that will be taken in January of Year 11. 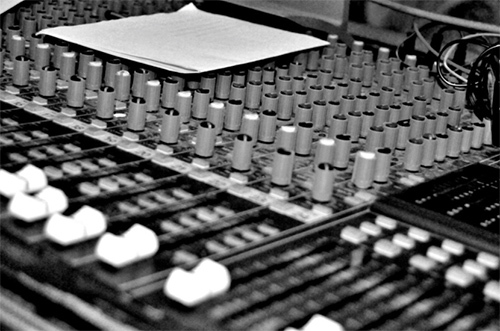 Unit 1 (Exam) – Working in the Music Industry. This unit explores the variety of professions linked to the music industry on a day to day basis, who they work for and how their role impacts on others in other areas of the industry. Unit 2 – Managing a Musical Product. In teams students stage a concert during Year 11. This requires them not only to perform but also to look at Promotions, Health and Safety, Lighting, Sound etc. Unit 3 – Introduction to Live Sound; microphones, speaker systems, sound for concerts etc. Unit 4 – Introduction to Musical Composition, creating music to chosen stimuli. Unit 5 – Introduction to Musical Performance, leading up to a 20 minute concert. Unit 6 – Introduction to Musical Recording, creating a CD by recording using microphones, instruments etc. Unit 7 – Introduction to Musical Sequencing, using MIDI and computers to create soundtracks. Choosing TWO Units allows students to follow a particular area of interest or specialism. The choice of units is very much directed by the students, although the staff do encourage some connection or thread between their selections. Whilst we endeavour to allow students the opportunity to be offered their favoured options it may not always be possible. Level 2 Music allows students to pursue a range of courses at Key Stage 5 as well as providing useful skills to students entering the working world with apprenticeships etc. A Level 2 Award will count as one GCSE for those looking to further their education. Students will be awarded a Pass (Grade C), Merit (Grade B), Distinction (Grade A) or Distinction* (A*). Students achieving the Level 1 Award will not gain a GCSE equivalent qualification. BTEC Music is aimed at any student who has an interest, or wishes to further their interest in music making and those who have an interest in music as a possible career. The qualification is a Level 3 Extended Certificate (QCF), is equivalent to one A Level with the same level of UCAS points. The certificate allows students to specialise in either Performance or Technology strands. Across the two years each pathway studies 6 units. Three that are common across both strands and three that are specific to the students chosen preference. Unit 39: The Sound and Music Industry – a mandatory unit looking at key elements involved in any form of career in the music industry, focusing particularly roles, contracts, progression routes etc. Unit 24: (Year 13) Music Project – students work as part of a team and form a business whose aim is to put on a concert. At present the plan is for students to be involved in the committee for the Belper Schools Music Festival – a new venture that we intend to be a bi-annual event in June/July. Students must also perform as part of this event whether as technicians or musicians. Unit 43: (Year 13) Subject Special Investigation – an extended research project of the students own choosing. Three units that cover all aspects of performance including solo performance skills, Music interpretation, composition/song writing and ensemble work. Students study three elements of music technology – Live sound, Studio recording and Sequencing. Work for all of the optional strands is mostly practical and assessment is based on a portfolio of practical tasks and research based work including presentations and documentation.